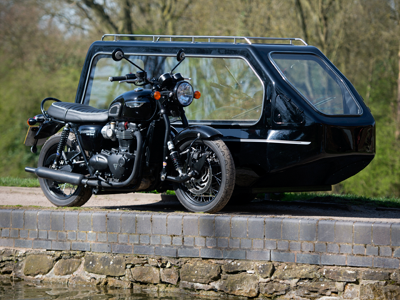 Traditionally styled this ‘Proper British Bike’ was built completely in Great Britain and is popular with the broadest spectrum of people and motorcycle enthusiasts alike. 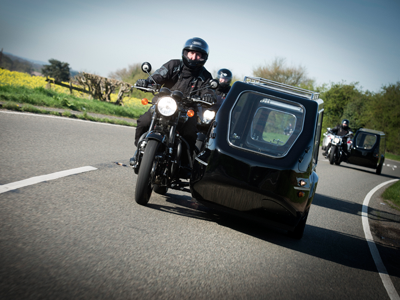 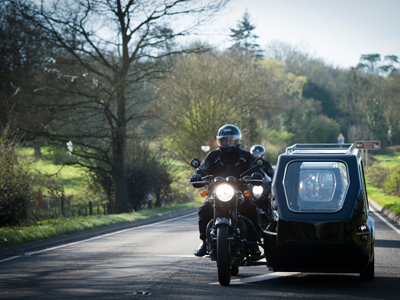 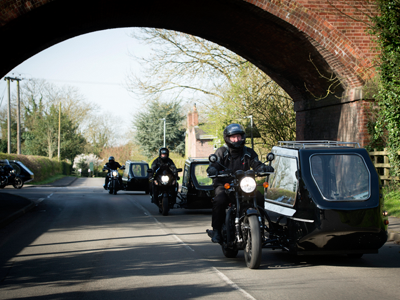 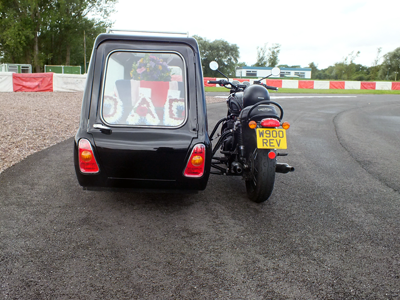 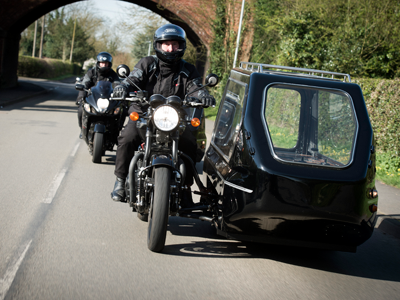 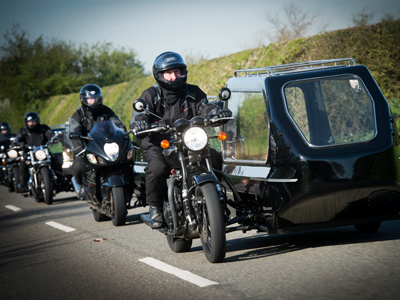 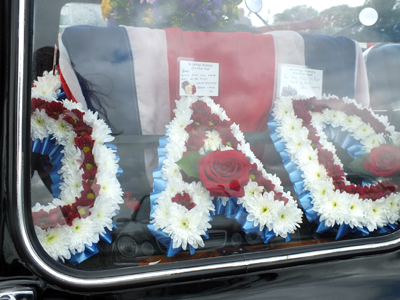 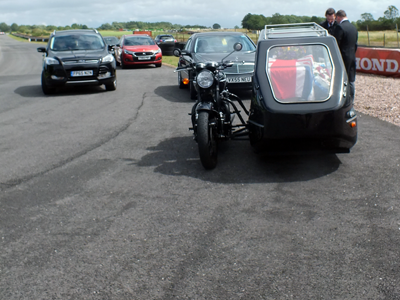 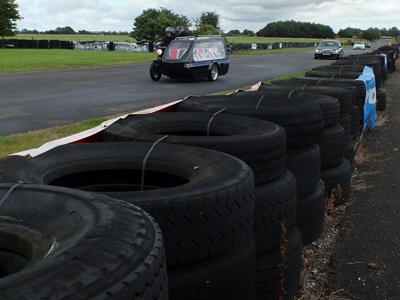 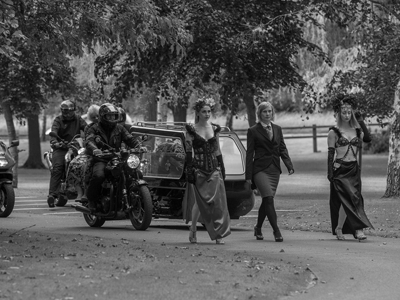 As with all British specification hearses and the rest of our fleet it has a Funeral Director’s pillion seat, flower rail, secure hearse fittings, internal temperature control for warm weather and de-misting with a combination of glass roof and internal lights to display both flowers and artefacts. 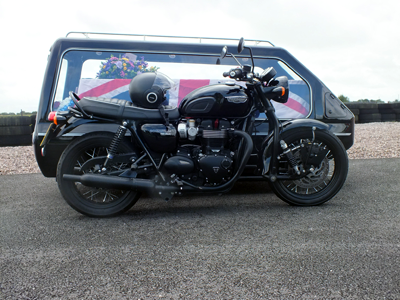 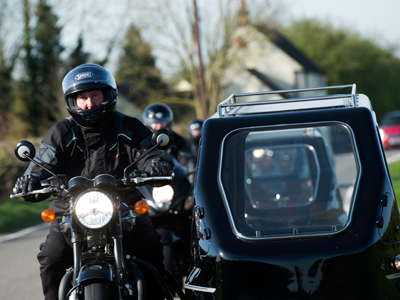 Our quintessential British bikes have been featured on The One Show BBC1, Richard Wilson’s Two feet in the Grave BBC1, Robbie Coltrane’s B-Road Britain ITV, Richard O’Brien’s Dead Strange ITV, Inside Out on BBC1, Doctors BBC1 and numerous regional news programmes.